Dr. Timothy Johns is the founder and President of Rock Solid Urban Impact. He is also the founder and senior leader of the Rock International “Tribe”, an international family of churches and the President of All Nations College. Tim has enjoyed helping many become healed and transformed in the context of natural and spiritual families. He is a business man, church planter. life-coach, spiritual father, author, speaker, and consultant. Tim excels at facilitating personal transformation and leadership development. He mentors leaders how to be the kind influencers who can positively impact the marketplace, church, and communities. 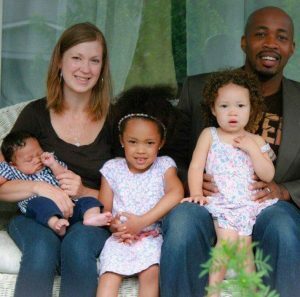 Tim earned his Master’s degree from Fuller Theological Seminary and a Doctoral degree from Regent University. He has been married to his high school sweetheart, Janet, for 43 years and is the father of two married children and six grandchildren. 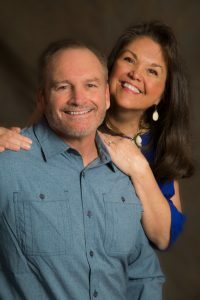 Tim and his wife Janet live in Fort Collins, Colorado where they are currently starting the Rock All Nations church family and All Nations College. Jason Johns, along with his wife, Sarah and three children, moved back to their hometown, Kansas City, in 2013 to be a part of establishing a healthy community of people who have a heart to see city transformation, starting with the urban core. Jason was raised in a home where the whole family was involved in city transformation, especially focusing on youth and poor. He loved hearing stories of when his father was a youth counselor in the 70’s to at-risk youth. His dad, Timothy, would often take young adults and kids on backpacking adventures or several day float trips down rivers as the setting to impact their lives. This inspired him to accept the position of Executive Director of RSUI. With a background in construction and the trucking industry, Jason has helped to start new businesses in those industries. He has combined his love for the outdoors with his passion to be a life-coach, especially with at-risk youth. Jason has taken many young people into wilderness settings, taught them how to hunt and fish, as the vehicle to impact their lives. By displaying God’s Fathering love to the broken-hearted, Jason has been used to restore lives. Many young people have experienced, for the first time, the unconditional love and affirmation of a father figure because of Jason’s compassion and dedication. As experienced leaders in the marketplace and practical life-coaches, Jason and Sarah have a longing to help others heal and thrive in life. They see RSUI as a powerful vehicle to form healthy families and communities, because they are the most effective context for transformation. Paul Weese grew up in the inner-city of Kansas City, Missouri. He has lived in the urban core since he was 10. He is now 60. Therefore, Paul understands the unique challenges facing those growing up in inner-cities. After many years of personal struggles, he came to a saving knowledge of Jesus Christ. He has lived most of his life trying to help inner-city youth come out of poverty, drugs, alcohol, fatherlessness, and broken homes. 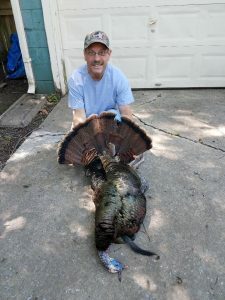 From successfully helping at-risk youth, Paul has found that the outdoors is a highly effective tool for bringing healing, love, and life skills to troubled youth. He has trained many young people to fish and hunt, which then gave him access to influence their lives. Paul understands the transforming influence of God’s creation, especially when accompanied by the support of loving mentors. Michael Miller, and his wife, Kimberly, have hands on experience working with youth and poor within the urban core of Kansas City. Currently, they both work as advocates for men and women who face societal and mental barriers such as generational poverty, incarceration, substance abuse, depression, and adequate access to fair living environments. As their advocates, they focus on improving products and services for creating pathways to success by using advanced analytics, standing up in court hearings, utility assistance, and on boarding compelling new employment opportunities. Michael and Kim have completed their bachelors degrees in social science and urban planning, giving them the skills to analyze inner city demographics. They are in the process of developing a real estate initiative to improve housing options in the urban core. They have compassionate hearts and highly committed to solving real problems with the most broken. Josh Hawkins is a business owner and entrepreneur. Josh has successfully started several companies in areas like excavation and trucking. 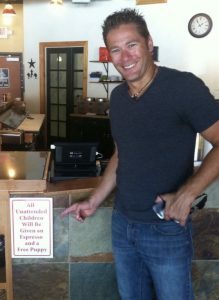 He has a heart to pass on what he has learned in life and business to others less fortunate. 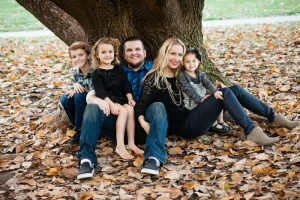 Josh currently resides in Overland Park, KS with his wife Adrien and two children, Caleb & Everly.